From the 1790s, whalers made temporary visits to the north of New Zealand. A few left their ships and became shore-based traders. 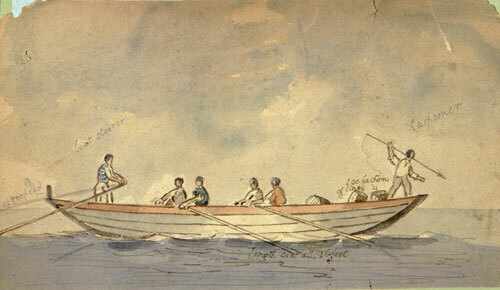 This unsigned drawing shows the position of the whaling crew as they set off to harpoon a whale.